On the day of assuming charge as the Chief Justice of India, Justice Ranjan Gogoi has notified changes in the roster. While Public Interest Litigations will still be heard by the CJI, some PILs can be listed before Justice MB Lokur as well, on directions by CJI Gogoi. The bench headed by him will also deal with the matters relating to social justice, elections, company law, Monopoly and Restricted Trade Practices, Telecom Regulatory Authority of India, Security Exchange Board of India, Insurance and Reserve Bank of India. Justice Gogoi has also kept with himself matters concerning arbitration, habeas corpus, criminal cases, contempt of court and ordinary civil matters. His bench will also deal with the issues relating to the appointment of Constitutional functionaries, statutory appointments and appointment of other law officers. Besides the matters pertaining to the judicial officers and Commissions of Enquiry, would also be allocated before the bench headed by CJI. 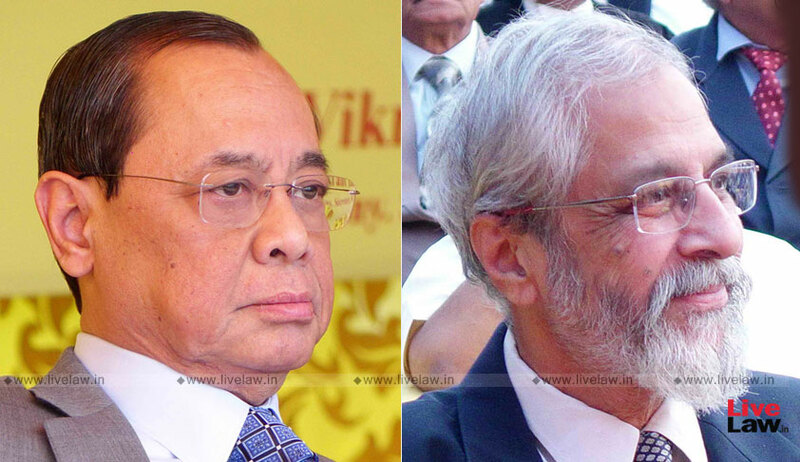 Justice Gogoi has also allocated the PIL and letter-based matters to the bench headed by Justice Lokur whose bench will also be seized of matters of land acquisition and requisition and service. Justice Lokur's bench which is already allocated social justice matters will continue with it along with the matters relating to forest, environment, wild life and ecology. Personal law matters, religious charitable endowments and issues of mines, minerals and mining leases would be allocated to the bench headed by Justice Lokur which will also take up the matters of land laws and agriculture tenancies, consumer protection and issues relating to armed forces and paramilitary. Justice Kurian Joseph, who is third in seniority will have matters relating to labour, rent, service, family and criminal cases. The bench headed by Justice Joseph would also share with the bench of CJI the matters relating to contempt of court. The allocation of work for Justice Joseph includes ordinary, civil, personal law along with religious and charitable endowments. His bench will also deal with simple money and mortgage matters. Besides, his bench has been assigned matters of land laws, agriculture and tenancy and also pertaining to the Supreme Court, High Courts, others courts and the tribunals. Justice A K Sikri, the fourth senior most judge, will also share the matters relating to contempt of court and his bench will deal with taxes matters -both direct and indirect and also the election petitions. Justice Sikri's bench has also been allocated with criminal matters, appeals against orders of statutory bodies, ordinary civil matters and also statutory appointments and appointments of law officers. His bench would also deal with the personal law matters and also those pertaining to employees of the apex court, high courts and other judicial bodies. Indirect tax matters have also been allocated to the Justice S A Bobde, the fifth senior most judge and the new entrant to the five-member apex court collegium, who will also adjudicate upon the matters relating to academics, arbitration, compensation, criminal, family law and ordinary civil cases. Justice Bobde's bench has also been allocated with the matters concerning mercantile laws, commercial transactions including banking and admissions to educational institutions other than medical and engineering. His bench has also been allocated with the matters of admirality, maritime law, admission/transfer to engineering and medical colleges and also matters relarting to leases, government contracts and contracts by local bodies. Former CJI Dipak Misra had introduced the subject-wise roster system in the Supreme Court in February this year. This was soon after the four senior-most Judges of the Supreme Court— Justice Chelameswar, Justice Gogoi, Justice Lokur and Justice Joseph—held the unprecedented press conference, asserting that the administration of the Apex Court is “not in order” and that many “things less than desirable” have been happening in the last few months.